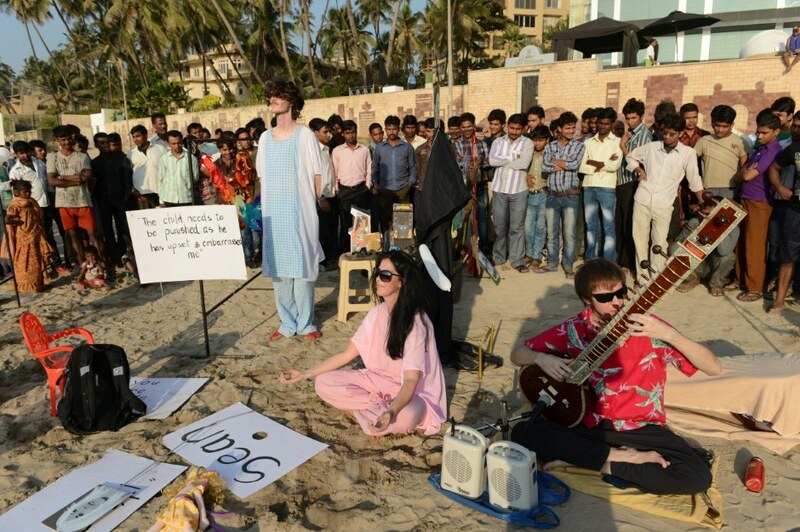 Dreaming the Arabian Sea was a musical performance and drawing project exploring alternative routes, dreams and telepathy that Sean Peoples and Veronica Kent created on Mumbai’s Juhu beach: the texts of their songs (that Veronica’s daughter Mia sang accompanied by JJ on Sitar) and the costumes and props used in the event were inspired by dreams that the couple had during their residency in India. 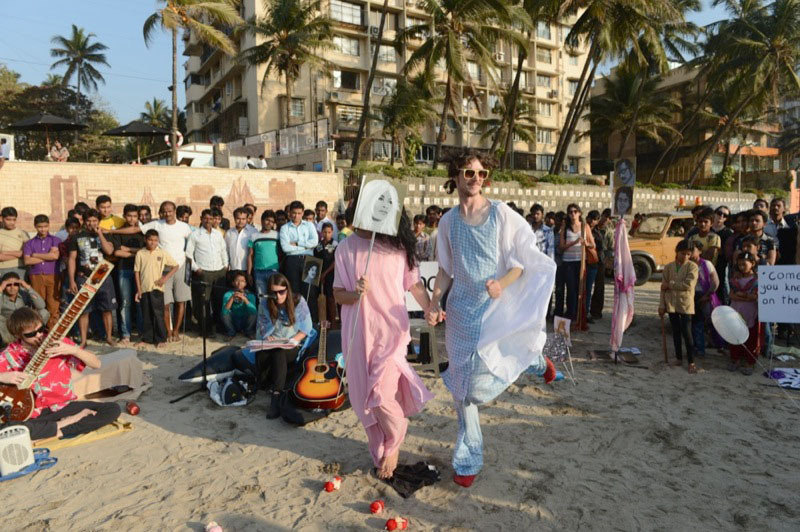 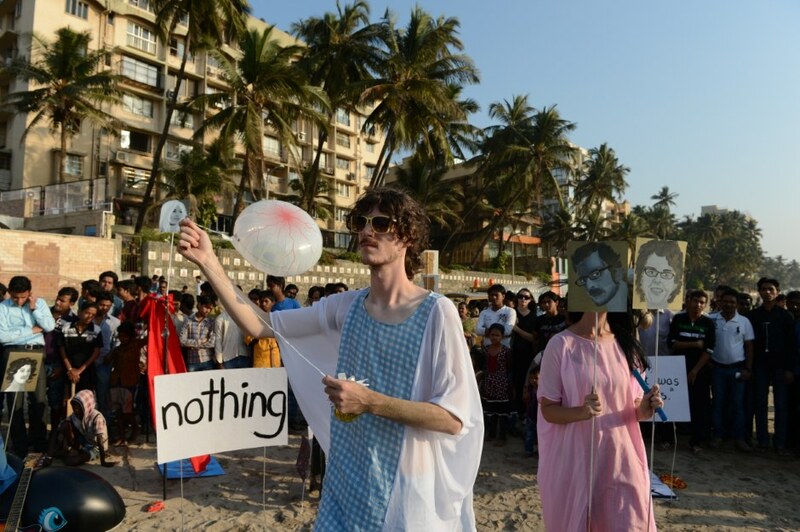 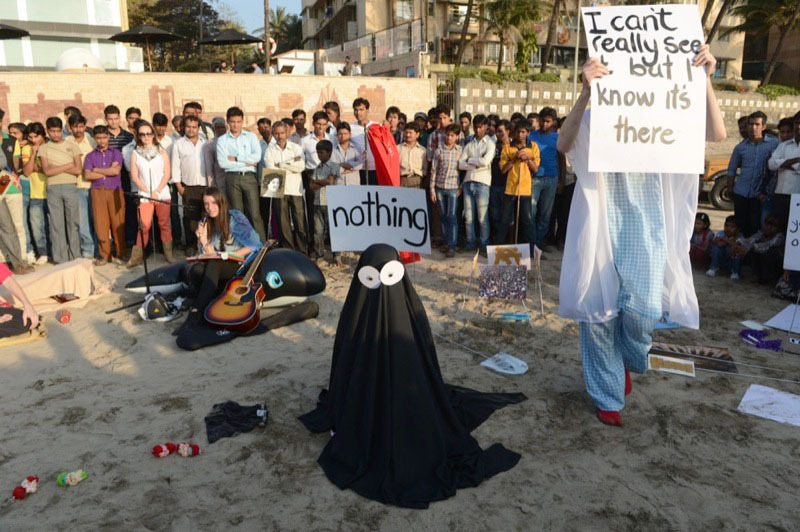 The performance was given to real and imaginary audiences both in Mumbai and on the other side of the Arabian Sea. 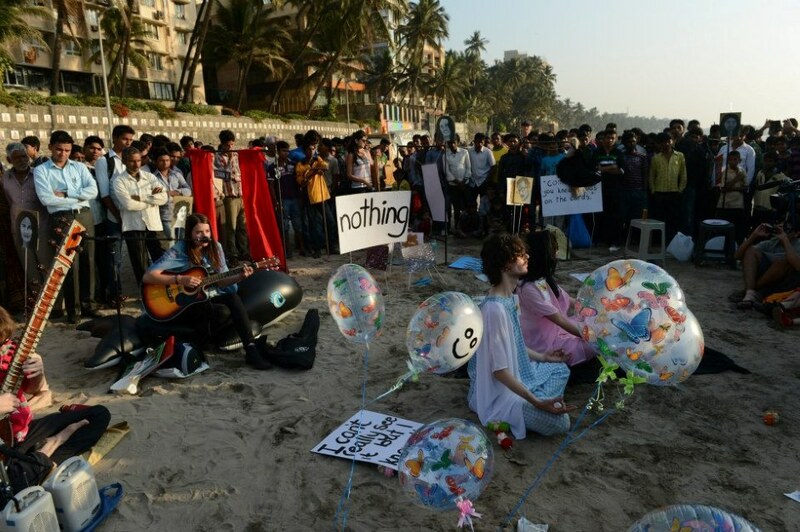 The Sea was proposed as a medium that we hoped would carry our performance from India to our friends waiting beside bodies of water in Europe to receive and draw our performance. 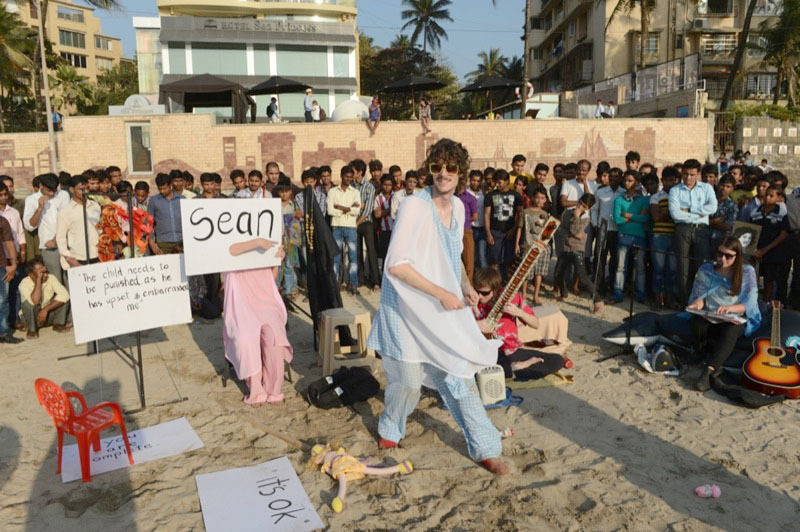 The Amsterdam contingent led by Matthew Shannon retreated indoors in the face of a snowstorm to perform their drawing event, Remote Space in Barcelona set up camp on Barceloneta beach and Speech and What Archive braved the snow to make a receiving event on the banks of the Seine in Paris. 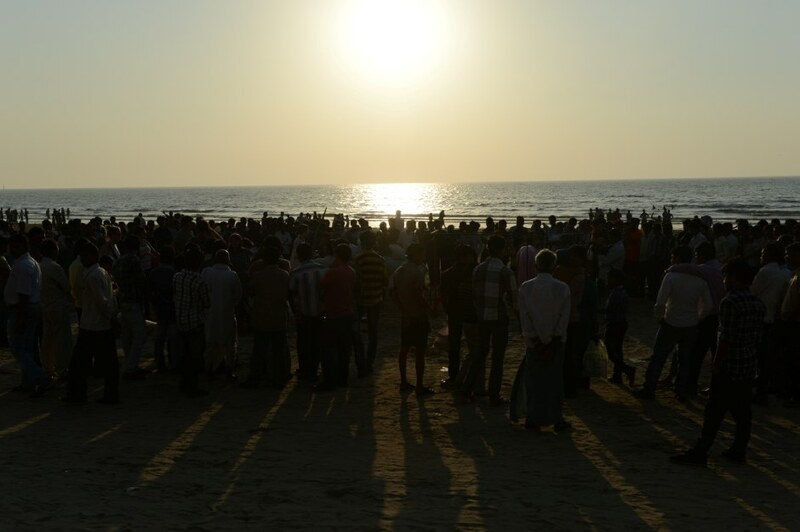 Dreaming the Arabian Sea was part of [en]counters PowerPlay, Mumbai’s annual program of live art and performance. 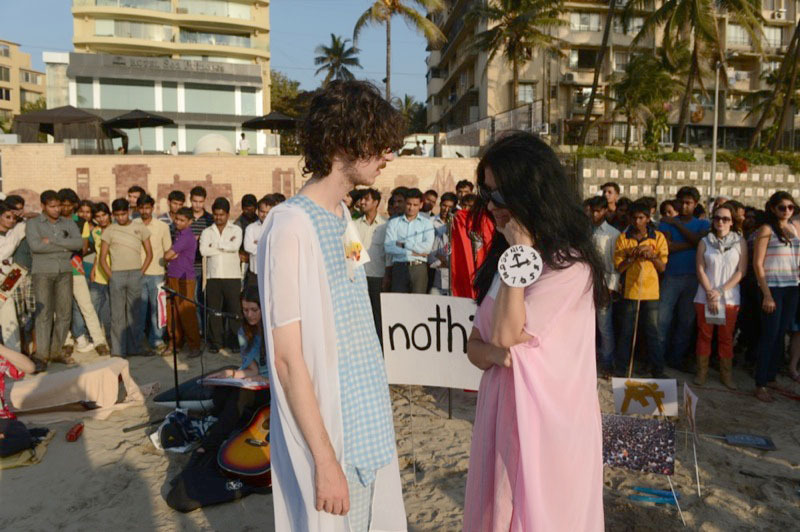 Exploring notions of power, energy and inter-relations in the public sphere the program is presented by Mumbai organisations ArtOxygen and Asia Art Projects, and curated in collaboration with C&G-Artpartment [Hong Kong], Fondazione Antonio Mazzotta [Italy] and Satellite Art Projects [Australia].